Kendal offers plenty of opportunities for creative writers to share their work, from Kendal at Oberlin’s literary magazine Eureka!, to area and state competitions like the Leading Age Ohio Annual Art & Writing Competition. It’s true that creative writing has a different meaning to different people – and at different times in our lives. Moving to a new and vibrant community brings about many changes, and contributing to resident publications is one way to get to know the community and your new neighbors better. Be engaged in a new community. For others, writing is a necessary activity. It allows them to share their joy with others during good times. It’s also a creative outlet for visionaries, the imaginative, and those who are simply gifted with a way with words. Through prose, poetry, fiction and more, creative writing provides companionship, solace, inspiration, and joy for the writer as much as it can for the reader. Eureka! is a literary magazine published by and for Kendal at Oberlin residents. It welcomes original works for publication that include short fiction, poetry, social commentary, reportage, cartoons, music, drawing, photographs, poetry, prose, and more. As noted in a post to Kendal at Oberlin’s Facebook page, it has been in publication since 2003. In 2013, the community celebrated 10 years of Eureka, with the covers, front and back, on display in the Community Art Gallery. 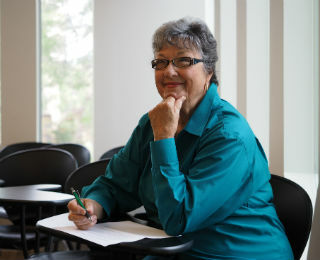 Writing for the magazine gives Kendal residents an opportunity to share their creative writing efforts with fellow residents, make new friends, and enjoy an outlet for their own creative energy. Many Kendal residents are strongly encouraged to submit works of art and/or creative writing to the Leading Age Ohio Annual Arts & Writing Competition each year. While the 2015 regional competitions have ended and the state competition will take place September 10 – 11, 2015, in Columbus, Ohio, the event is annual. Individuals interested in participating or competing should be on the lookout for more information about upcoming Leading Age competitions. Regional shows throughout the state select first, second, and third place winners in nineteen different categories. These winners go on to compete in the state competition, where they will compete against other regional winners from across the state. All participants feel a profound sense of accomplishment whether on the regional or state level of the competition. 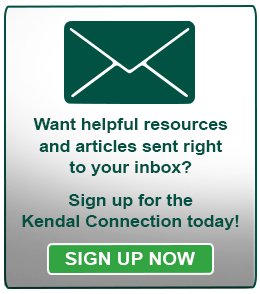 Traditionally, Kendal at Oberlin residents have fared quite well in the contest and everyone in the greater Kendal community looks forward to seeing more resident work doing well there in the future. Creative writing is only one of the many avenues for expression that’s available and encouraged among Kendal at Oberlin residents. Art and music are just two of the other creative outlets to enjoy. The key for all residents is to find the activities and organizations that appeal most to them, with more than 80 to choose from, including creative writing for Eureka!, that should be easy!